There are initiatives all across the country in the field of education and in industry that encourage girls to consider joining STEM-related occupations as adults. This is a great idea as a female perspective is highly valuable in these areas. The question is, how do we support young girls to make this happen? Multiple approaches can be effective. As a teacher, we know how important role models are for girls. Female students will be more likely to join these professions if they see people like them in these roles. Here are 10 amazing women who were unafraid of swimming against the tide and flourished in STEM-related fields. 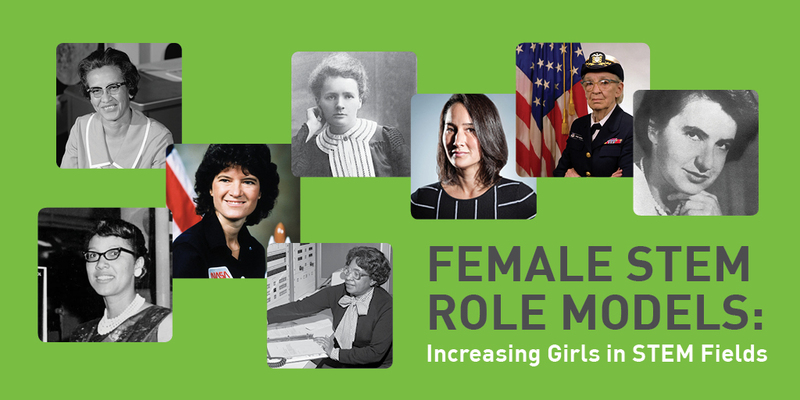 These are women over the years who have been deeply involved in all, or part, of STEM. By sharing a snippet of their stories, girls might be inspired to learn more about them and go out and change the world as well. Cynthia Breazeal is known as a modern-day computer science pioneer. A female trailblazer in the area of social interaction with artificial intelligence, Breazeal created the Jibo robot. In 2014, she was awarded the George R. Stibitz Computer & Communications Pioneer Award—definitely a great role model for young female coders! Marie Curie was a Polish physicist who discovered the elements of radium and polonium. She received the Nobel prize for chemistry. Sadly, she died of aplastic anemia, which is believed to be caused by the radiation exposure she encountered while learning about radium. Katherine Johnson, Dorothy Vaughan, and Mary Jackson are three superb mathematicians who worked at NASA. They were all responsible for putting an astronaut into orbit around the earth, and all three worked a NASA when the first man landed on the moon. Katherine Johnson was also known as the “computer” by her colleagues. Their story has become famous in the past few years with the hit movie Hidden Figures. Emily Warren was an engineer who contributed to the building of the Brooklyn Bridge. It wasn’t intended, though! Emily assisted her ailing husband in the design process of the famous bridge—the first steel-wire suspension bridge ever built. She was also the first person to walk across the bridge. Edith Clark was the first woman to attend a school majoring in electrical engineering. After she received her degree, she became a professor at the University of Texas, paving the way for future female engineers to follow in her footsteps. Rosalind Franklin developed Concept 19, which states that the DNA molecule looks like a twisted ladder—a concept that is still used in science classrooms today. Even though she was discouraged by her family, she persevered and became a scientist anyway. Rosalind used her knowledge of X-ray crystallography to identify the shape of a DNA molecule. Admiral Grace Hopper was a woman who shaped the idea of computer science. At the age of 37, she started to help program the very first computer and became known as the woman who “taught computers how to speak.” They named this first computer Mark1, and it was at this point she knew that this was the beginning of something big. Sally Ride is known far and wide as the first woman who ventured to the unknown of space. There is much more to Ride’s story than most of us know. She attended Stanford University, where she received a degree in physics. In 1998, she created EarthKAM, which allowed middle school girls to take pictures from outer space while still on the earth. Once Sally Ride completed her first mission in space, she made it her mission to inspire other women to achieve their dreams. The world we live in is constantly changing. The origin of this change is the energy and innovation of humans—both men and women. Imagine the number of young girls who can be the next Edith Clark or Rosalind Franklin if they can learn their stories and be inspired to follow in their footsteps! Which women in STEM fields inspire you? Let us know in the comments below!